Rewati Rai is from Rakha in Khotang - one of our oldest working areas in Nepal. He has many years of experience working in community mobilization related to agriculture and sustainable soil management. 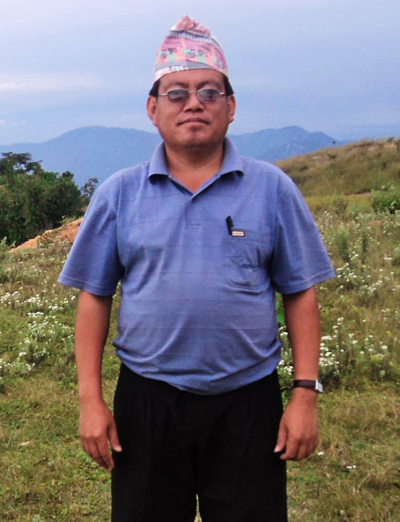 He previously worked for Janasewa Samaj Nepal, a local NGO in Khotang, who we partner with regularly to conduct our high-level agriculture trainings, such as Group Management, Cardamom Cultivation and System of Rice Intensification (SRI). Rewati's expertise in all of these subjects, along with his work in motivating farmers, is very helpful in leading our agriculture program. He has been with dZi since 2015.